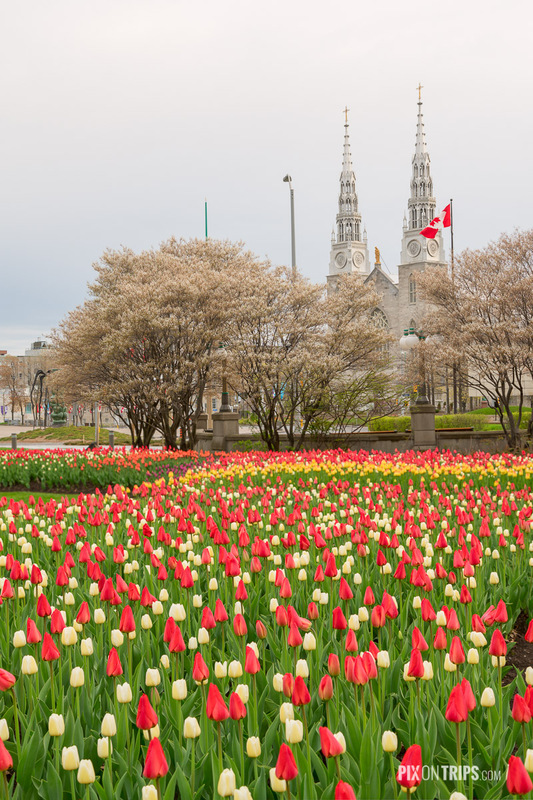 Spring is short in Ottawa. 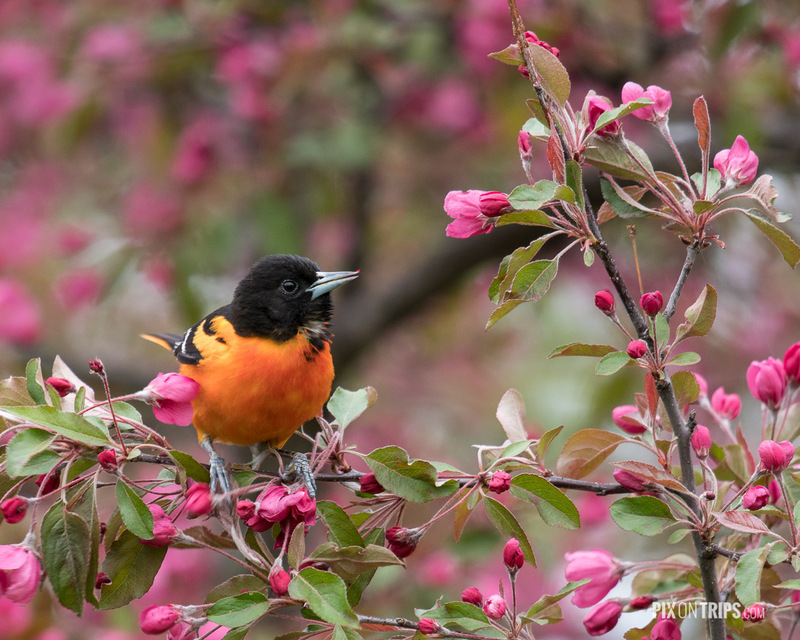 Here is a collection of photos I took in the last 8 days when the flowers were at their best. 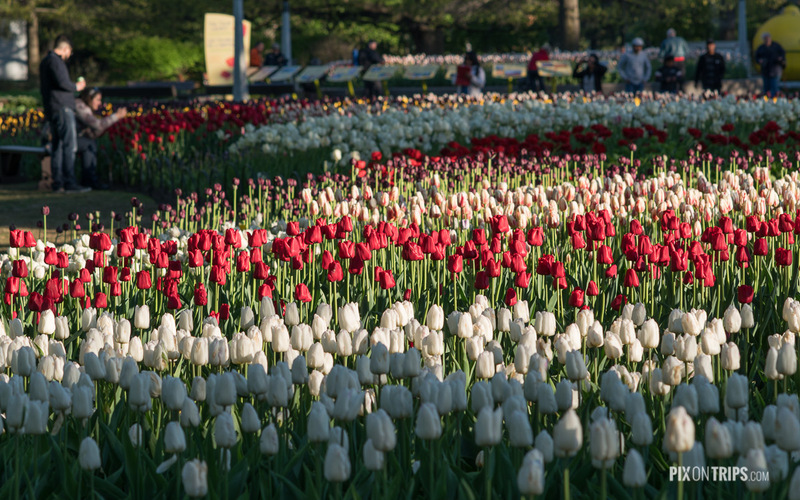 I focused on the tulips in the foreground to make the National Art Gallery building deliberately out of focus. Motion introduced by the cyclist adds a bit dynamics to the otherwise static photo. 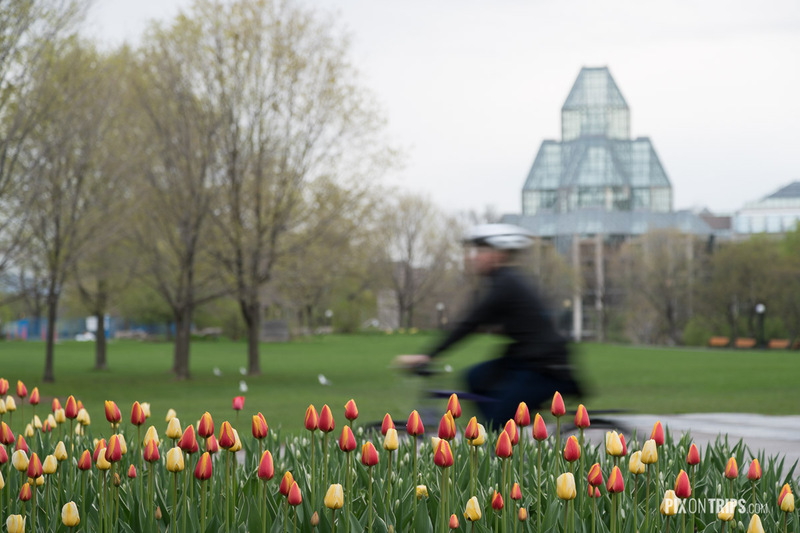 Cyclist passing tulip field in Major’s Hill Park, Ottawa. At 7:08AM there were very few visitors. It is not a challenge to get photos with no people and no cars. 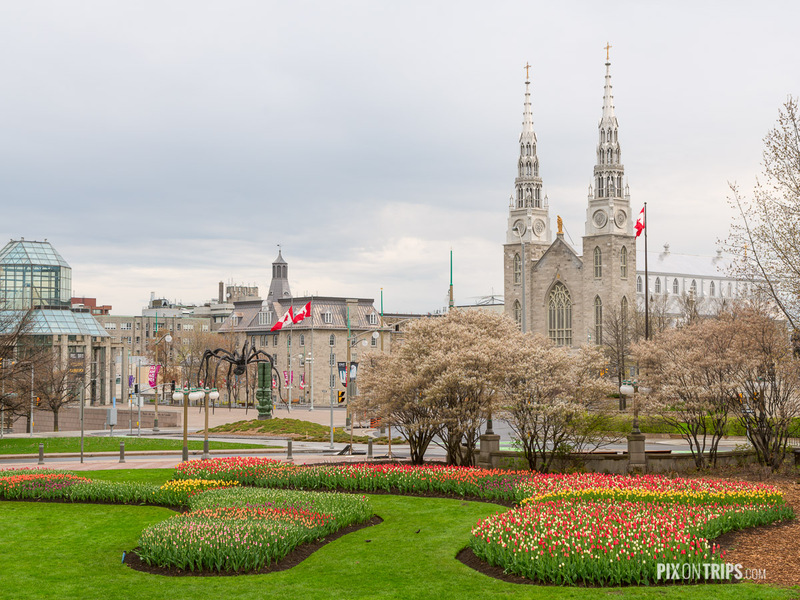 Tight composition and portrait format allow me fill the foreground with tulip flower bed and bring attention to the basilica. 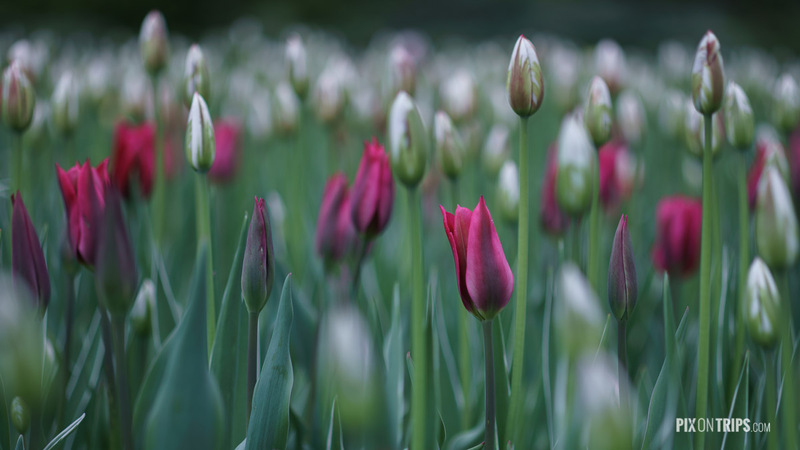 My plan for the day was to shoot flowers with recognizable background, but could not resist to take a few flower only shoots. I cranked up tint in Lightroom to give it a cool feeling. A Minolta MD135mm f/2.8 lens I acquired 20 years ago was used to get this shoot. F/2.8 is very helpful in making people in the background out of focus. 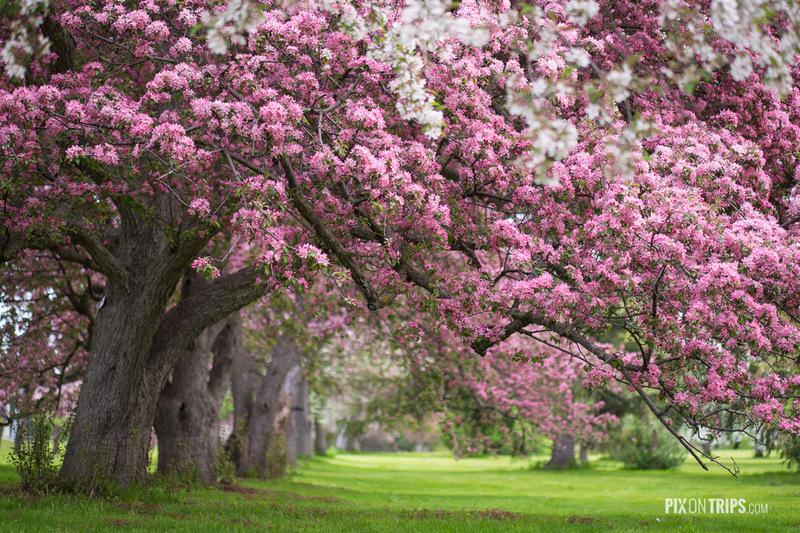 Dominion Arboretum is the the prettiest place in Ottawa in spring. You can see photos I took last year. Getting something different from the same place is always challenging. To break the tendency of clinging to wide angle lenses, I resorted to an EF100mm f/2.8 macro lens. 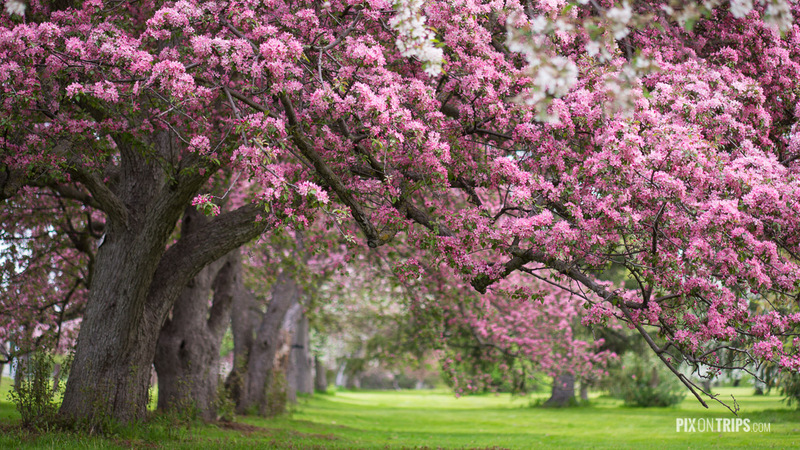 Focus is on the pink blossoms in the centre. 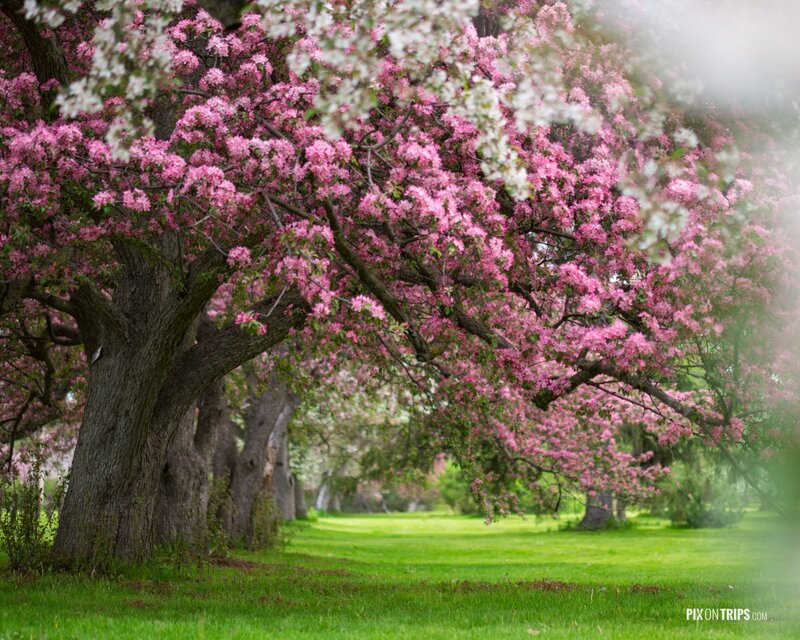 To give above photo a little more dreamy effect, I found a white flowering tree branch and used it as foreground. The blurry flower pedals on the left are completely out of focus. 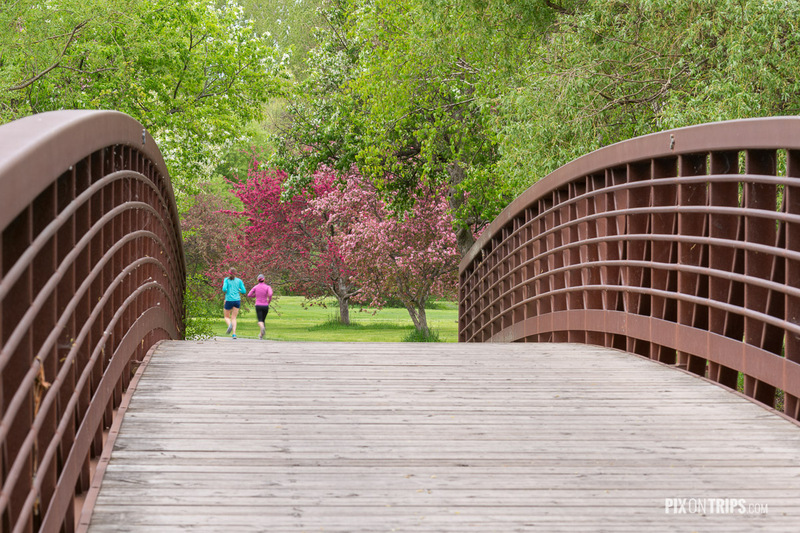 Women jogging in the Dominion Arboretum of Ottawa to enjoy the Victoria long weekend. I didn’t know the name of the bird when taking the shoot. Merlin Bird Id is an awesome app for everyone, not just birders.